If you want to visit the United States, there are several types of tourist visas for the US. For temporary visits, there are three different types of non-immigration visas. There is the visitor visa, the temporary worker visa, and the student/exchange visa. We will look at each type so you can figure out which one is right for your trip to the United States. The visitor visa on of the types of tourist visas for the US. This visa is primarily for business and tourism. There are two categories under the visitor visa, and it is important to select the right one, as they are very different. Business (B-1): If you are traveling to the United States for your company, then the visitor visa (category B-1) is probably the one that you will have to apply for. This is for people who will not be receiving any salary or payment from a U.S.-based company or entity. The most important thing to remember is that if you are going to receive money or payment from a U.S.-based company or entity, then you will probably need a different type of visa. Be sure to check this PDF from the U.S. Department of State to see if you fit this category or if you will need something different. Tourism and Visit (B-2): This is one of the most commonly issued types of tourist visas for the US. If you are traveling to the United States just to see the sights or to visit family and friends, then this is the one for you. This also includes participating in social, musical, or sporting events, or contests as long as you are not being paid to participate. If you are taking a short recreational course of study that doesn’t count for credit towards a degree, like a two-day cooking class, then you can do that under this visa as well. Another thing that is included under this visa category is medical treatment. It is important to know that if you are seeking medical treatment, you will probably have to bring extra documents to your visa interview. 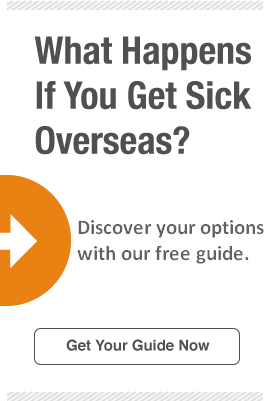 You will need a medical diagnosis from your local physician explaining why you need to go to the U.S. for treatment. You should also have a letter from a physician or medical facility in the U.S. with statements that they are willing to treat you, how much it will cost, and the length of the treatment. You will also have to bring proof that you can pay for the treatment as well as travel and living expenses. This type of visa is pretty straightforward. If you are traveling to the United States and receiving money or payment from a U.S.-based company or entity, then this is the type of visa you need. There are a lot of categories under this visa, however, so be sure to check the website to find the category that you need to apply for. For example, if you are a performing athlete, then you need a P temporary worker visa. But if you are a temporary agricultural worker, then you need an H-2A temporary worker visa, so be sure to find your category. Another thing to be aware of is that most temporary worker categories require that your prospective employer or agent file a petition to the U.S. Citizenship and Immigration Services (USCIS). This petition has to be approved before you can apply for your visa. Check the USCIS website for more information. The study and exchange visa is for people who wish to study or to participate in a program like an au pair program or internship. There are three basic categories: F, M, and J. Student (F and M): Your course of study determines if you need an F or an M visa. The most common study visa is the F visa. This is for students attending a university, college, high school, private elementary school, seminary, conservatory, or another academic institution including language training programs. If you are attending a vocational or other recognized nonacademic school, then you will need an M visa. No matter which category you fall under, you will have to be accepted by the program or school and have proof of your enrollment before you apply for your visa. Be sure to check the U.S. Department of State website if you have any questions. So, there you have it! Three different types of tourist visas for the US all with their own specific requirements. Hopefully this helps you understand which category you fit under and will guide you through the process of finding the correct visa to apply for.